Over the last couple of days I got a chance at some early access looks at Madden 15, playing it on the Xbox One, and overall I would give the game a 6.5 out of 10. May as well start off with the best part of this game. The presentation is superb, from the opening package straight through the final snap, with halftime reports, on-field reporting, showing Phil and Jim in the booth, and the statistics presented on screen as the game progresses, just an outstanding job. *Yawn*. Boring. Madden 13 was the last Madden game that I bought and played more than once, and the reasoning is simple. The gameplay has just gotten stale. Sure, they’ve added in a few new things, such as telling you which players have better probabilities for receptions based on ratings and defensive pairings (on both sides of the ball), and making it easier (using overhead commands) to break through the offensive line…But overall, it’s unexciting, from when you actually snap the ball until you finish the play, it just doesn’t feel as exciting as Madden used to. 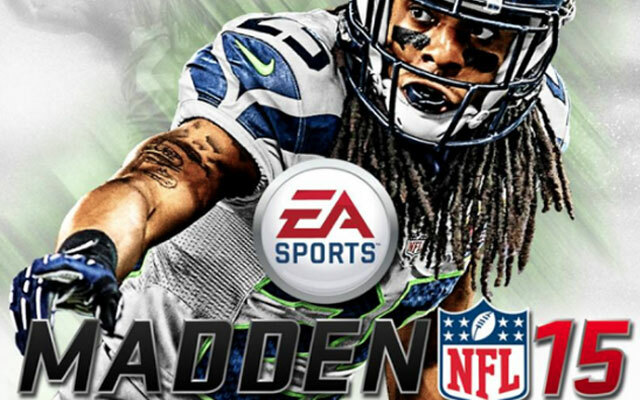 Sure, I may sound like I am getting picky…but why did Madden GET RID OF THE COIN TOSS?!?! It seems so minuscule, but personally, I like to start off on defense when I play, and they’ve taken that option out of my hands. Whilst I am uncertain if my team won or lost the coin toss in each game I played, I was always the receiving team off the top, which is an option that should be simple enough for me to make myself. I’m saving my money for NHL 15, and not putting a dime into the Madden Universe until they liven up the actual gameplay, and not just the frosting on top (presentation). Thankfully, EA has provided me with Madden 25 for free…so if I have any football urges, I’ll be more than content with that. And on the plus side, I’ve been hearing a lot of good things about the new presentation in NHL 15 (after working together with the NHL on NBC)…and if it’s anything like Madden’s, that game is going to be incredible.